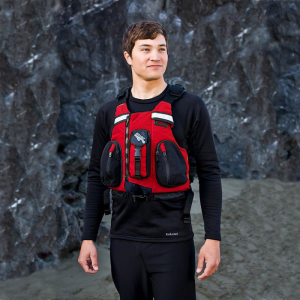 Kokatat Outfit PFD - The Outfit PFD by Kokatat is something that you won't want to leave shore without. 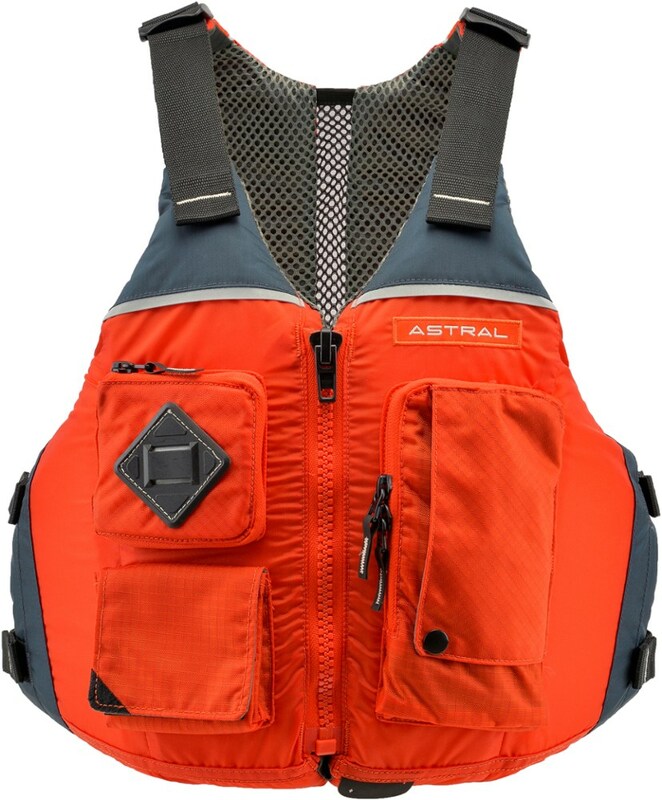 A basic lifejacket with not-so-basic features, the Outfit offers double-stitched seams throughout, and triple-stitched where needed for added durability. It is built with a tough Cordura outer shell that wears and weathers hard use and the elements exceptionally well. Padded adjustable shoulders with Hypalon grip panels, and fully adjustable stretch mesh side panels will ensure you have a perfect fit. A Duplex front pocket and hidden sleeve pocket behind the entry zipper let you keep any essentials close at hand. Other features include beveled GAIA PVC-free foam, bar tacked stress points, and an external knife lash tab. 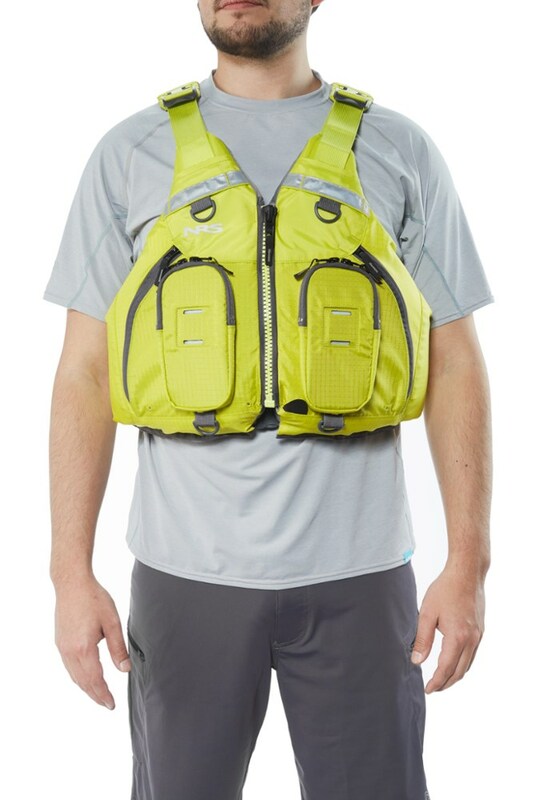 When you are ready to point your boat to the horizon, make sure you have the Kokatat Outfit PFD. 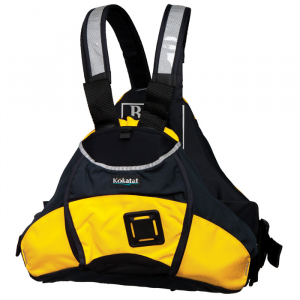 The Kokatat OutFIT Tour PFD is designed to keep you comfortable during your next on-the-water adventure. 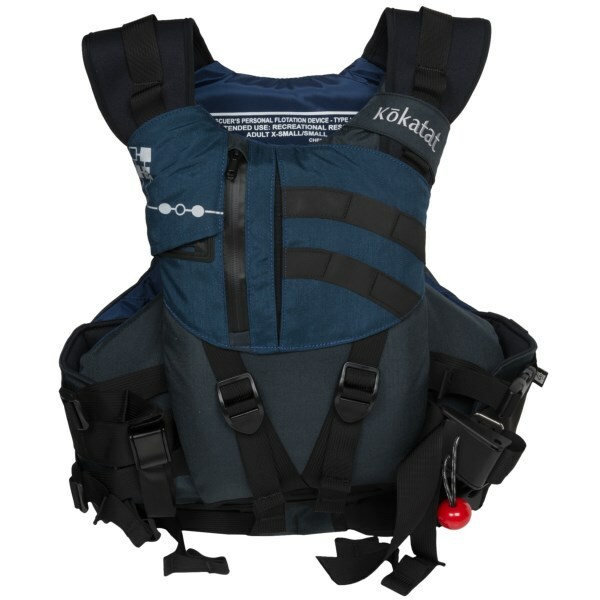 Kokatat's Outfit Tour PFD is an absolutely essential, incredibly comfortable type III vest for paddling long tours. One way the Outfit Tour differs from many type III's is how Kokatat made it with low-density, PVC-free Gaia foam wrapped in Cordura for long-lasting durability and softness. Now, Kokatat makes most PFDs out of Cordura and Gaia, but the Outfit Tour stands out from all other Kokatat PFDs with thermo-formed shoulders that customize the fit according to your contours. 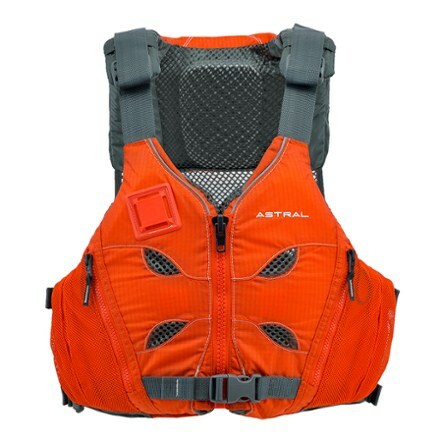 There are adjustments at the shoulders and sides to ensure a snug fit, and a massive pocket organization suits the needs of touring paddlers.